Sometimes unanticipated and unexpected events occur in our lives that take us off the path we are meant to follow. The economy, family health issues, lack of access to sports facilities – it becomes a challenge to be all that we can be just facing one of these hardships and even more so when facing all three! This is the story of Andre and Isabella B. Both are talented players with super parents, both of whom are successful athletes in their own right. Hit hard by the recession, a parent facing serious health issues, and little to no access to practice facilities has put the B’s in a position needing support. Relatively new to the game of tennis, both Andre and Isabella have exhibited talent for the sport right away. 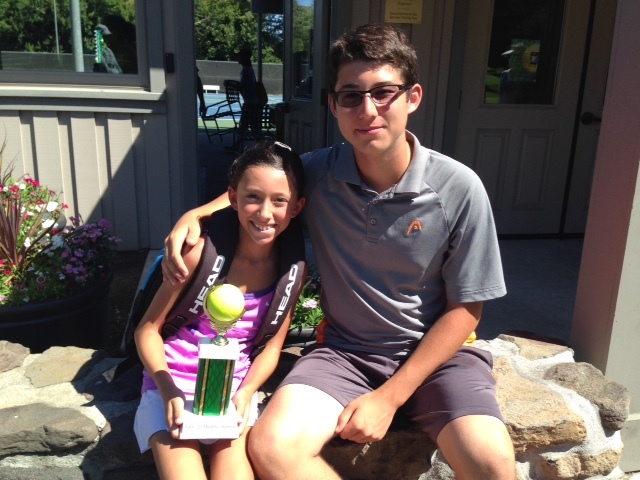 Andre and Isabella started playing tennis twice a week in a limited amount of Tier Classes in Oct. 2013 and participated in their first tournament in May 2014. In just under one year each has risen up the rankings from not being ranked at all. 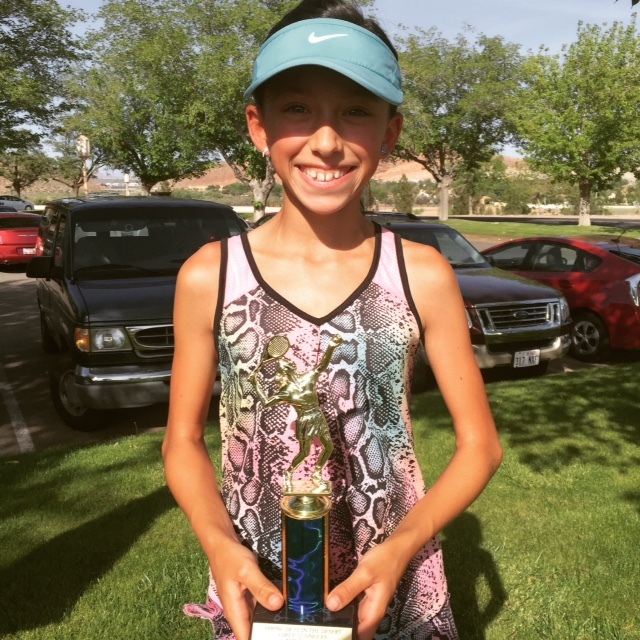 Eleven-year old Isabella is #3 in Idaho in singles, #1 in Idaho in doubles and is ranked 442 in National Doubles and 716.1 in National Singles Combined. In the Intermountain rankings, Isabella is 26 in singles and 17 in Doubles. Experiencing a growth spurt, Andre is nearly 6 feet tall at just 14 years old. Quickly adjusting to his new height, Andre ranks #2 in Idaho Doubles and #10 in Idaho Singles in Boys 14. 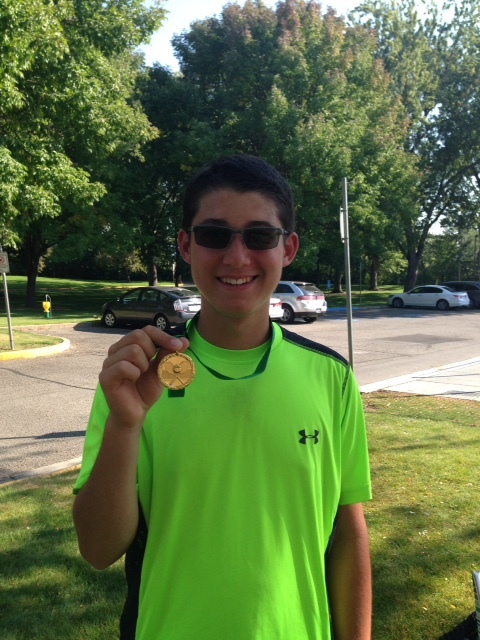 He is also 63rd in Intermountain Singles and 29th in Intermountain Doubles. Education and tennis are the family’s way of life. A schedule filled with academics, conditioning, and practicing is a regimen that is yielding significant results. Days are spent learning, cross training, yoga, and tennis training. Living in a sparsely populated area of the northwest US with the lowest per capita income, the B’s have very limited access to tennis facilities. Even under these conditions, Andre and Isabella are achieving a good level of success. Michael Farrington, Site Director and Fitness Coach at HAT, has identified the B’s as possessing the talent and drive to compete at the highest levels of the sport. Boise, Idaho lacks a focus on junior tennis and does not have a junior development program. The handful of indoor tennis courts allow for limited court time. The B’s are keenly aware of their extraordinary request for support. Their goal is not only to achieve at the highest levels of the sport, but to also pay-it-forward by supporting others in similar positions in the future.